Well, we had our first semi-normal week this year, I think. We floundered a bit early this week as we tried to figure out what to start. And everything, basically, is Kindle. So getting photos is tough. I'm getting tired of the same photo every week. Hmmm. 20,000 Leagues Under the Sea by Jules Verne is our new primary read-aloud. I've never read it. See, I need to go through these various lists of the best books, most influential books, classics everyone should read... I need to go through them and figure out how to get them all in as read alouds over the next 11 years, while I still have kids in the house. Anyway, we aren't very far into this yet, especially as we keep getting sidetracked to go researching submarines of the Civil War, or other such stuff. I have to say it is nice to be reading a book with chapters of a reasonably consistent length though. We've stayed up to date (though weekends just don't happen -- so Fridays we read Friday and Saturday, and Monday we catch up by starting with Sunday) in The American Patriot's Almanac by William Bennett. This past week, we read about Japanese-American internment camps, John Glenn, Thomas Jefferson, George Washington, Iwo Jima, the Amistad, and Old Glory. The kids are really loving this now. Advice for Seekers by Charles H. Spurgeon is still slow going, but it is still going. Connor is really liking it. We also started reading Sacagawea, by Karla Akins. This is an upcoming Crew review, and we are really liking the way this story is put together. Enough so that my older kids are asking if we can manage to go through Fort Mandan on our next trip to Fargo. We'll have to see about that. 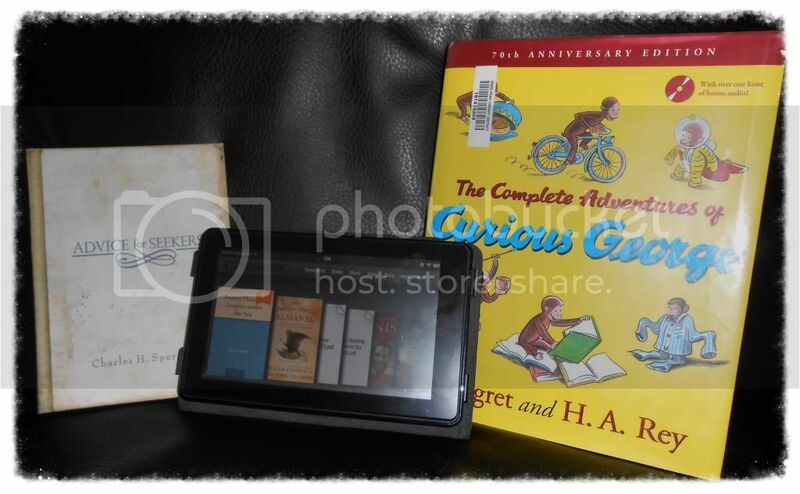 Thomas is reading The Complete Adventures of Curious George, by Margret and H. A. Rey, aloud to Richard and Trina. Yay, Thomas! They'll finish today, apparently, so I doubt I'll report on it again. Today was a rather frustrating Bountiful Baskets day. We had committed to volunteering at the church food pantry from 12:00-2:00. Theoretically, that shouldn't be a problem, as our Basket pickup is at 11:00. But the truck has been on time once EVER on a B week, so I don't know why I thought it might be different this week. They had tortillas though. So I had to contribute for a basket. And of course, the truck ended up 2.5 hours late (12:30), smack dab in the middle of when I couldn't be there. Dale had to be at work today for some dumb reason... of course. Fortunately, I did have a wonderful person volunteer to pick my basket up for me, so we cruised over and got it after the food pantry. Thanks, Kat! So how will this be used? Eggplants are going into a lasagne casserole-y thing tomorrow. For my birthday. We'll do some broccoli with lunches this week. Broccoli and carrots will go onto the veggie tray we need to put together for the Mother-Daughter Tea next weekend. Lettuce and potatoes just get used. No planning necessary. Grapefruit is going to be my breakfast this week. The rest of the fruit just gets eaten, no planning necessary. I'm thinking I'll take some photos tomorrow and actually <gasp> post a recipe. When I was contacted about reviewing a Bible Study book from the Discover Together series, I was a bit hesitant. I keep trying to do various women's Bible study programs on my own, and nothing seems to work as I hope it will. But a book about Revelation? That intrigued me. And then I read about an online "study group" on Facebook? That intrigues me even more. 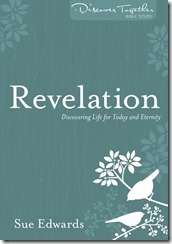 So here I am, reviewing Revelation: Discovering Life for Today and Eternity by Sue Edwards. What is really cool about this is that Sue Edwards is hosting an online Bible study. If you are like me, one more thing on the calendar that requires leaving the house? Nope, not happening. Even if I could schedule it, a blizzard is likely to blow through and mess up my plans. Well, I haven't made use of the online Bible study portion of this at all. I probably should, but I just haven't. What am I doing, though, is to work through the study on my own. There are nine total lessons, and each lesson is intended to be done over a week. Let's take a quick look at Lesson 3: The Church Who Suffered Well. The lesson starts with a page and a half of reading that provides some background, and then you are to read a very short passage from the Bible. This is all in the main portion of the book. As you go along, each page has a "sidebar" area where some extra material can be found. 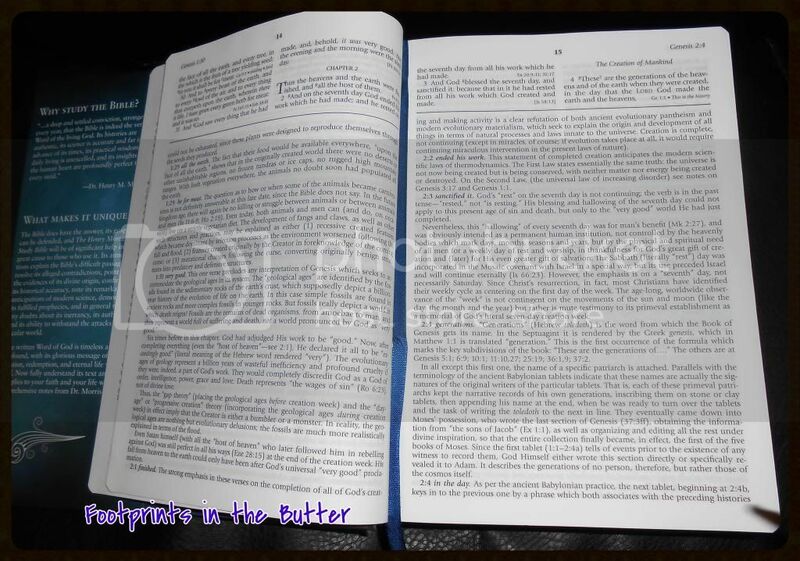 For this first part, there is an optional scripture memorization component. Following the introductory material, there are eight questions, with a fair amount of white space where you can write your answers. The questions are mostly factual regarding the text, but some do get into areas of "how do you think you might respond if..." or questions about sacrifices endured by Christians today. So it is applying this to today as well. In the sidebar of one of these 3.5 pages, there is a quotation. Each lesson has a video component that you can access online. This one is a bit over 3 minutes, on the topic of slander. There is another question, then some additional reading from Sue. This page also includes some sidebar extras, including a quote and comments from Sue. There are another fourteen questions over the next few pages. There are quite a few quotes scattered in the sidebars of these pages. In addition, there are two "Digging Deeper" questions in these sidebars. The "Digging Deeper" is a bit like extra credit... if you have time and inclination, these are questions where you can go read other portions of scripture and maybe check some other reference materials. What I'm finding is that it is pretty easy to split this up to tackle a couple of questions a day. The questions are grouped in subheadings, with between two and six questions. Mostly, I took on a subheading per day. I look forward to completing this study, which covers the first three and final two chapters of Revelation. I am also looking forward to studying Ephesians next! You can see what others had to say at the LitFuse Blog Tour page! Revelation: Discovering Life for Today and Eternity. Join the online Bible study (2/4 - 4/8) with Sue Edwards! And invite your friends to join you. Completing each lesson requires about one-and-a-half hours. 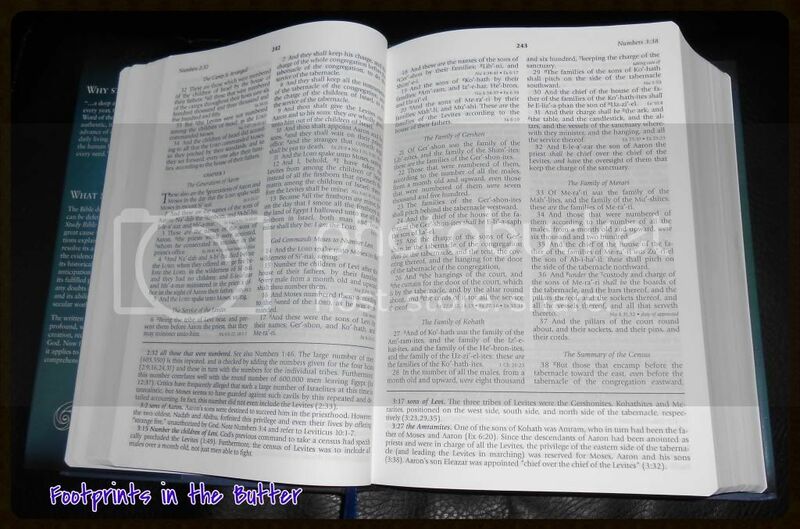 Readers still receive in-depth Bible study but with a minimum time commitment. For those who desire a more thorough study, including an opportunity to learn more about the history, culture and geography related to the Bible, Edwards has provided “Digging Deeper” questions. Answering these questions may require outside resources such as an atlas, Bible dictionary or concordance and challenge readers to examine complex theological issues and differing views more closely. Purchase a copy of Revelation and join the on-line Bible study today. Reading Aloud Challenge: we finished something! However, we did finish up a book, and stayed up to date in another. The Princess Bride, by William Goldman. We finished! Glad we read this one. We celebrated by watching the movie. Dale made us swear we wouldn't obsess about pointing out all of the differences between the book and the movie. I'm afraid we didn't do as well with that assignment as he would have preferred. Couldn't help it, in some places. We've caught up and stayed up to date in The American Patriot's Almanac by William Bennett. This past week, we read about the McCarthyism, Teddy Bears, "extreme" points in the US, Abraham Lincoln, the Lincoln Memorial, roses, Susan B. Anthony, pirates, a whole bunch of technological firsts, and Huckleberry Finn. It was a fun week. 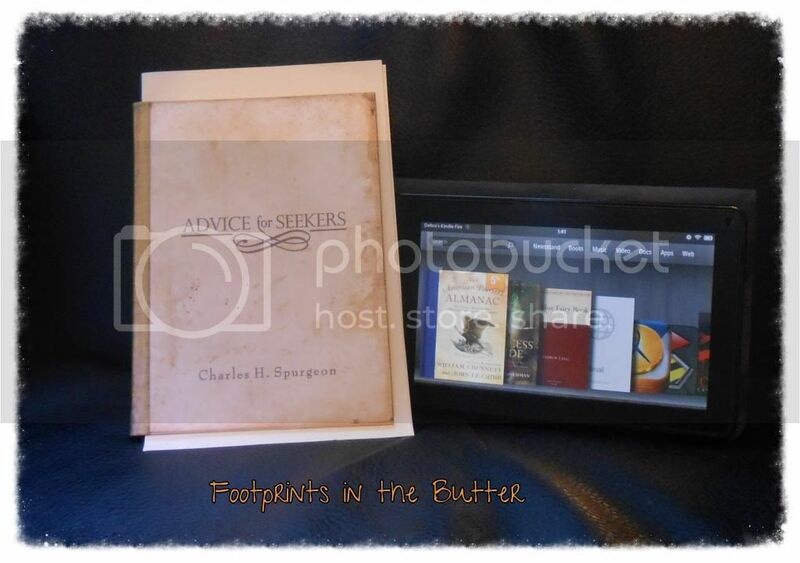 Advice for Seekers by Charles H. Spurgeon is still slow going, but I reviewed it last week. Connor is really liking it. Next week, the photo will have more real stuff in it! Yes, I said that last week. And the week before. <sigh> It will though. Because we are starting something new today. 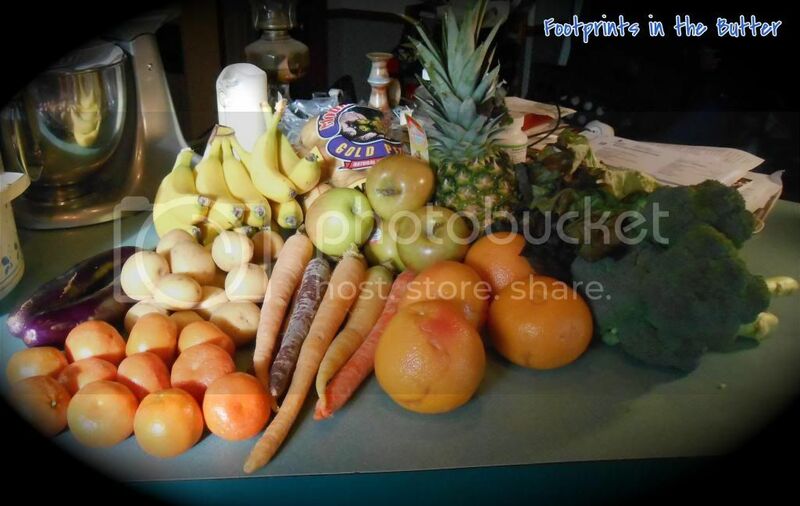 Bountiful Baskets time again! I was exhausted this morning, and simply did not want to go. I'm thinking a meal or two of stir-fry (broccoli, peppers, leeks). I'm planning for some potato-leek soup. Spinach, potatoes, some of the leeks, and maybe some peppers will go into some skillet breakfasts. Lettuce and grape tomatoes will just be used, as will the rest of the potatoes. Doesn't that look fabulous? I'm making vanilla extract, and haven't quite figured out what to do with everything else yet. Well, the pineapple is going to be part of the canning. The kiwi will probably be eaten. Mangoes are likely to be part of some smoothies (or frozen for that purpose). Coconut? No clue. I've never had a fresh one. Mint? Also something I've never had fresh. Lemons and limes, in small quantities, we just use up without me needing to plan really. Same for the ginger. So I'd love suggestions for the coconut and the mint, and maybe for the leeks too... Do you post about what you do with your Bountiful Baskets shares? I'd love to read about others. For the past couple of weeks, I have had the opportunity to try out two amazing resources from Master Books. Advice for Seekers, by Charles H. Spurgeon is something I've been reading aloud to my oldest boys. This book is published by Attic Books, a division of New Leaf Publishing Group, and we have been impressed with the other Attic Book titles we have seen. 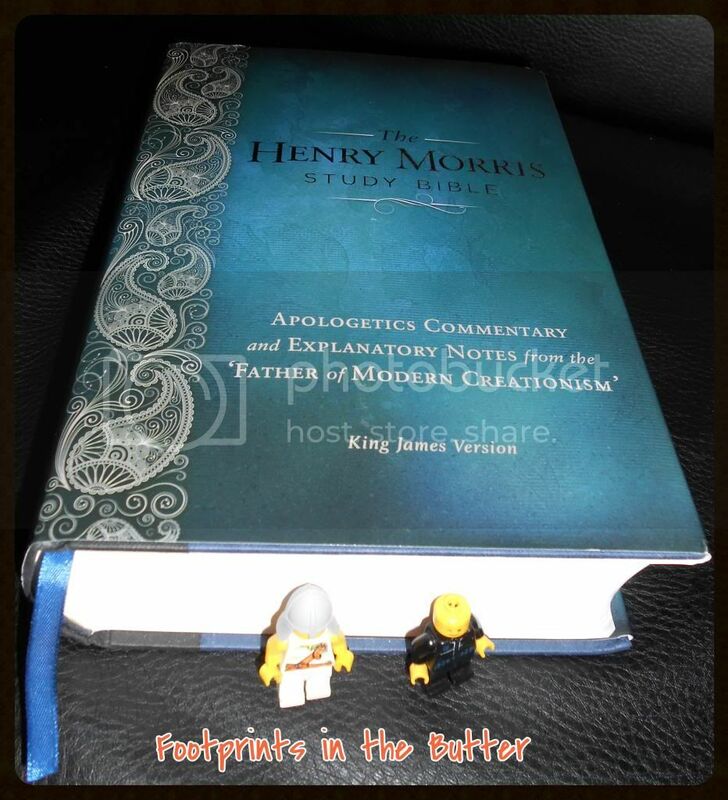 The Henry Morris Study Bible is something I have been reading on my own. Connor had done some studying of Spurgeon recently, and that brief introduction is what led me to consider working through this with my boys. The language definitely is more complex than what we are used to encountering, and that has meant that my 6- and 8-year-olds are pretty lost. Everyone else (ages 12 to 15) has seemed to keep up reasonably well. Many people get lost in their faith walk by using the map of their own understanding rather than the guidance of God. Spurgeon, one of Christianity’s most enduring influences, helps set the seeker on the path of peace. In his classic work, Advice for Seekers, Spurgeon offers Scriptural truths to help remove the obstacles so the simplicity of the Gospel of Jesus Christ can be grasped. From his own experiences and his years of ministry, C.H. Spurgeon shares a gentle spirit of grace through his words to comfort and encourage those desiring to know the Lord. Still no Light and Why? Apart from Biblical writers, Spurgeon is considered to be history’s most widely read preacher. Called the “prince of preachers,” he is said to have preached the gospel to over ten million people in his lifetime. Each of the essays in this book are fairly short -- six to twelve pages -- and we have found the length to be about perfect. The antique-y feel to the book adds so much to the experience of reading it. Connor just saw me flipping through the book, and he wanted to make sure I knew that he is really enjoying this book and he is glad we are going through it. When he found out I was writing the review, he said that he'd definitely recommend it highly. This Bible is HUGE. As in over 2200 pages huge. 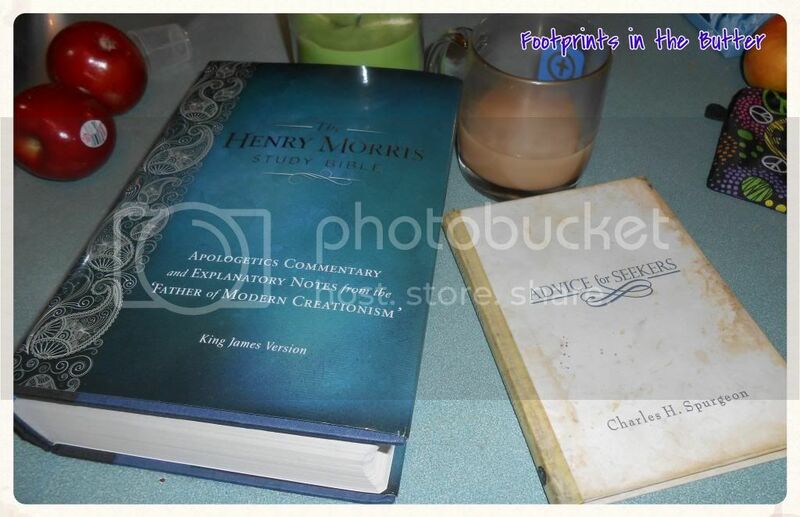 Most of that is the Bible text and the commentary. There are also 22 appendices, but I have not really delved into them. Do you see the line an inch or two down the page? That is separating the Bible (above the line) from the commentary (below the line). Doesn't that look a lot more normal? I have never read through the Bible using the King James Version, so getting through this Bible in 2013 is my goal. Instead of a goal of reading so many chapters of the Bible, I am focused instead on working through a certain number of pages. Specifically, five pages of the Old Testament, and two pages of the New Testament. I am loving this Bible. There is a Facebook party coming up on February 21 (Thursday) where you could win cool prizes, probably including this title, and discuss these books. I'll try to keep my Facebook page current with details about this party! Disclaimer: I received these books for free from New Leaf Publishing Group as part of the Moms of Master Books program. No other compensation was received. The fact that I received complimentary products does not guarantee a favorable review. Reading Aloud Challenge: a repeat of last week! I'm so totally convinced I could just copy and paste last week's post, nearly word for word. But I won't quite do that! We're continuing to read aloud is The American Patriot's Almanac by William Bennett. We are still doubling up on readings, but we didn't read over the weekend, so we are behind again. Actually, if I procrastinate on posting this, we'd be caught up today. This past week, we read about the Civil Rights movement (specifically, the sit-ins of 1960), The Battle Hymn of the Republic, Laura Ingalls Wilder, the Dorchester, Ronald Reagan, the first universities in America, Frederick Douglass, Groundhog Day, FDR, and the US dime. We also got into a discussion about The Day the Music Died, and listened to La Bamba. Plus we listened to about three different arrangements of The Battle Hymn of the Republic. Advice for Seekers by Charles H. Spurgeon is going slow. I'll be writing up a review tomorrow, though we won't be through it yet. Fourteen chapters, and we are sitting down to read a chapter at a time, roughly three days a week. The language and concepts are a bit much for my little two, so this is directed at the teens and tween. I like having a challenging read. I also started reading The Blue Fairy Book by Andrew Lang to the little two. That is something we will pick up and put down, when we are between books from the library. I put a few things on hold at the library, and we did pick them up last week -- but we didn't start anything new. 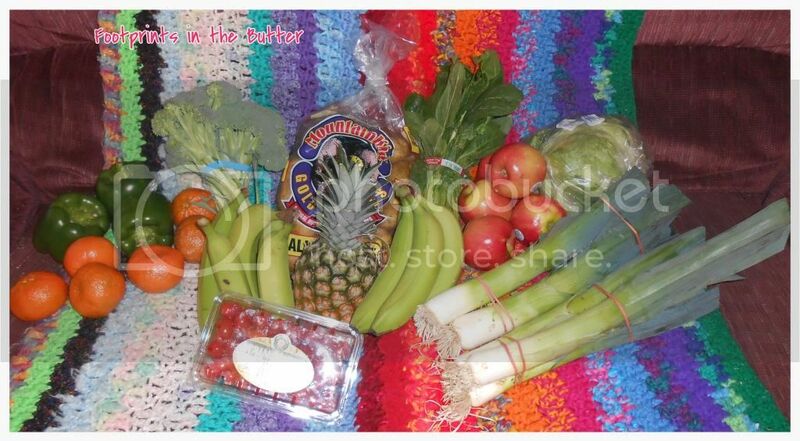 We had an awesome Bountiful Baskets day today. It helped that I had three sons with me to volunteer, which meant a hefty portion of volunteer extras. But I don't count those in what I list below! 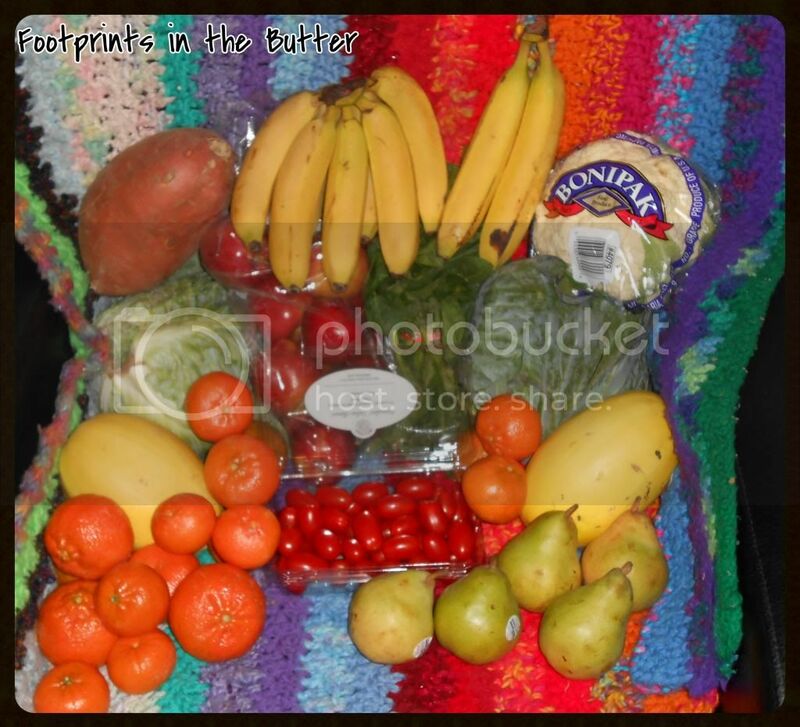 I also split a box of roma tomatoes and a box of cara cara oranges with a friend. I priced out my baskets at Safeway by adding up the two baskets and dividing by two... so 1.5 heads of cabbage, for instance. Grand total: $36.28. I contributed $15 per basket, and it would have cost me another $21.28 to get the same stuff at Safeway. Well, almost the same stuff. I used the price of tangerines instead of whatever these things actually are. What are we going to do with it all? I. Have. No. Idea. 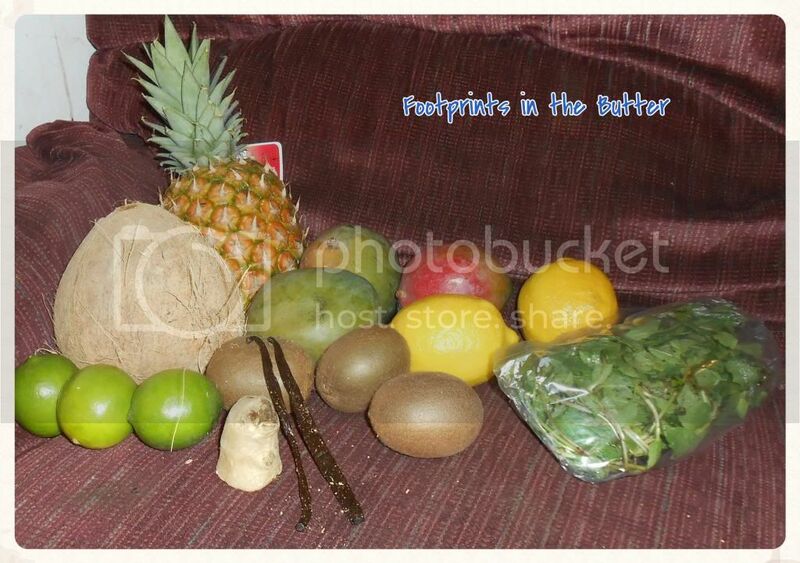 The fruit will just be eaten. Cauliflower will be used in an alfredo dish. cabbage? not sure yet. I'm still trying to figure out something we really love. spaghetti squash? we'll experiment a bit there too. Reading Aloud Challenge: It is February! We have been reading aloud this past week! Not as much as I'd like, but we are doing it! The Princess Bride, by William Goldman. We're about halfway through the book now, and it is still very funny. And yes, this is the book the movie is based on, for all who asked. The frustrating part of reading this book, though, is that because it is "abridged" (it was actually written this way), some of the chapters are about two Kindle pages long, and some go on for hours. Literally. We cannot sit down to read a single chapter, because we have no idea how long that might take. We're continuing to read aloud is The American Patriot's Almanac by William Bennett. We are still doubling up on readings, but are getting pretty close to caught back up. This is so much fun. 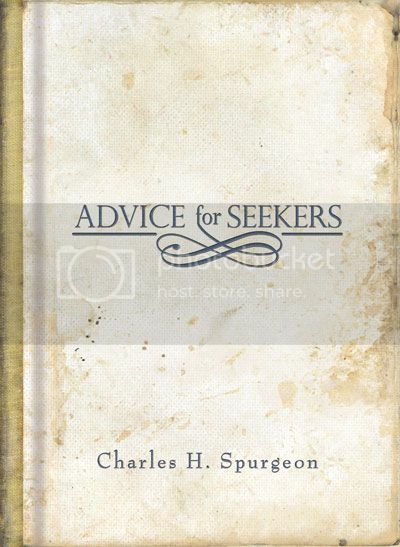 Advice for Seekers by Charles H. Spurgeon is another one we started this past week. I'll be writing up a review early next week, though we won't be through it yet. Fourteen chapters, and we are sitting down to read a chapter at a time, roughly three days a week. The language and concepts are a bit much for my little two, so this is directed at the teens and tween. I also started reading The Blue Fairy Book by Andrew Lang to the little two. That is something we will pick up and put down, when we are between books from the library. I put a few things on hold at the library, and we'll be picking them up tomorrow. I'm excited to start truly doing some read-alouds with the younger ones. Next week, the photo will have more real stuff in it!